Buy your ticket online today by midnight tonight for a chance to win one of these awesome prizes! You could win a once in a lifetime experience for you & a mate to go to ALL THREE DAYS of the festival with Premium tickets. 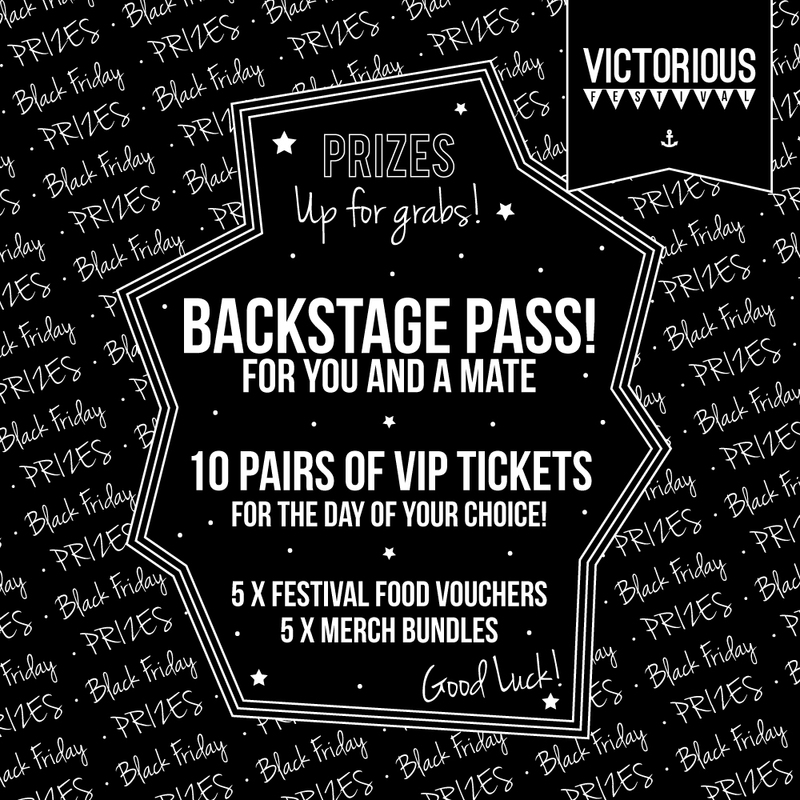 Plus, head backstage to watch a band of your choice from the side of the stage! 10 pairs of Premium Upgrade (Bolt On tickets) to upgrade your festival experience. 5 x Merch bundles to make sure you arrive in full festival fashion. Must be over 18 to enter! Please note all ticktets are non-refundable.